Colours have great significance in Indian traditions especially when it comes to a wedding. Mostly, weddings are associated with colour ‘red’. But ‘yellow’ is another important colour which is considered auspicious. Usually, the brides of non-Brahmin communities wear yellow coloured saree during a Telugu wedding ceremony. Wedding demands a classy and elegant look. 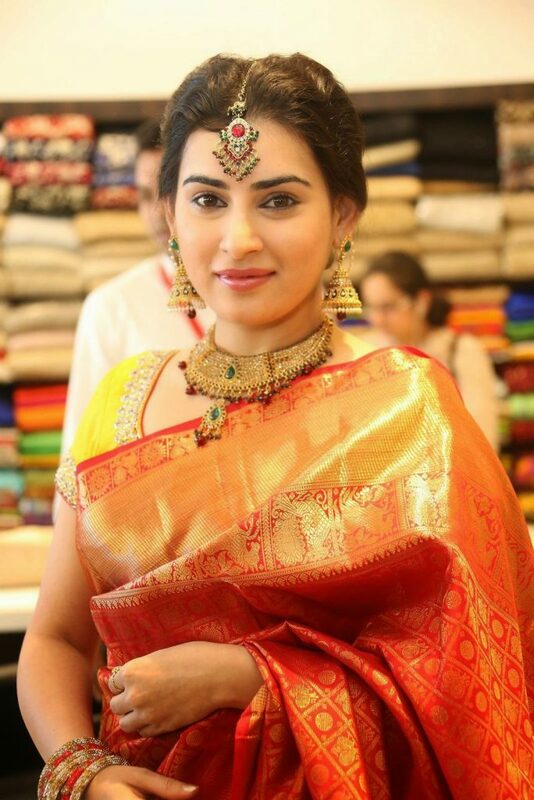 So a Kanchivaram saree is the best bet for that unparalleled elegance. This tradition saree will impart you the most dazzling look. You can complement gold and pearl jewellery with the saree to look best in your element. If you are looking for something modern, then try a mustard coloured pure silk saree with a contemporary blouse design. It will not only brighten up the whole ensemble but will make you the highlight of the wedding, which of course a bride should be. 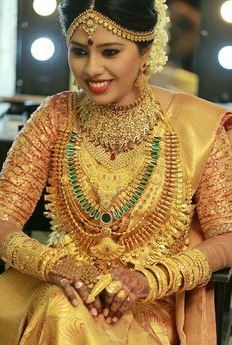 You can opt for unique Kundan jewellery for extra style point. A Zari saree in light yellow with a golden border is something that will promise you a radiant and vivacious look. The brocade border or heavy floral embroidery will enhance the overall appeal of the saree. Floral designs with intricate details look great on brides. If you want to select yellow saree for your wedding reception, then invest into something subtle and not so heavy. A wedding reception calls for the picture perfect moment so a beige yellow saree will look amazing on a bride. You can go for designer saree in beige yellow to give you a graceful makeover. The gold jewellery will elevate the style quotient further. If you want to choose a more contemporary design, then a sunset yellow or light orange saree will lend you the look to keep you in the spotlight. The light orange colour gives a subtle glow to your face as well and will make you look more photogenic in the pictures. Pair some antique jewellery with silver and stone work for the best look. Every bride-to-be wants to look the best dressed for her engagement. 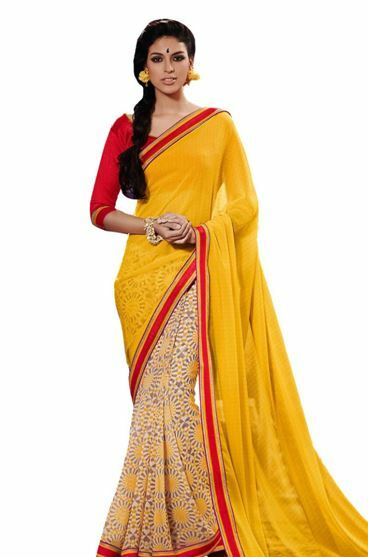 So get into a glamorous avatar with a yellow saree having red borders. It will be the best choice for this auspicious event. A combination of yellow and green net saree can also be tried. If you want something little casual, then a mustard chiffon or a georgette saree will come out to be the brilliant choices.